Deference to the Trial Court? Complete Submission or Polite Respect? As many of you know, I have tried a lot of cases over the last 25 years as a plaintiff’s personal injury trial lawyer here in Atlanta, Georgia. I also have appeared numerous times (37 at last count) in Georgia’s appellate courts and as a trial lawyer I handle my cases through completion, including the appellate process. I have had two appellate arguments this year, one in the Georgia Court of Appeals and one in the Supreme Court of Georgia, our state’s highest court, and so it is natural, I suppose, to have the issue of deference to a trial court by appellate courts on my mind and heart. Appellate courts are courts that correct errors of law made in the trial court, sometimes called “the court below” in an apparent nod to hierarchy among our courts. As a trial lawyer, I believe I must win my case for my client in the trial court. I do not subscribe to the opinion, as some lawyers do, that, worse comes to worse, I can always win it in the appellate court. I want to win a verdict in the trial court and then hold on to that verdict, thus, I go out of my way to ensure there is no error from which the defendant could appeal in the trial. This strategy takes both extreme foresight and planning but also lightening speed decision-making in the trial. Appellate courts must use certain “standards of review,” i.e., a specific framework in which to judge what happened in the trial court, according to the posture the case is in when it lands in the appellate court’s lap. These standards of review are well known and almost taken for granted, as if every lawyer and every judge in Georgia agrees to their meaning. The Georgia Court of Appeals even lists them on its website for easy, quick reference. But even though we can state the standards of review very plainly, it is not true that all lawyers and all judges readily agree on their meaning and application. That is when it gets fun. Kelley v. Cooper, A13A0982, 2013 WL 6133867 (Ga. Ct. App. Nov. 22, 2013). Of course, on purely questions of law, the appellate court owes no deference to the trial court. (“the review of allegedly erroneous jury instructions is a legal question, and we therefore “owe no deference to the trial court’s ruling and apply the ‘plain legal error’ standard of review.”). Monitronics Int’l, Inc. v. Veasley, 323 Ga. App. 126, 746 S.E.2d 793, 806 (2013), cert. denied (Nov. 4, 2013). But in situations when the appellate court does owe deference to the trial court’s ruling, what does “deference” really mean? Does it mean “submission or yielding to the judgment, opinion, will, etc., of another?” Or does it simply mean a watered down version of “respectful or courteous regard?” It makes a difference, doesn’t it? And while we’re asking questions, is there a different “deference” in criminal cases than there is in civil cases? 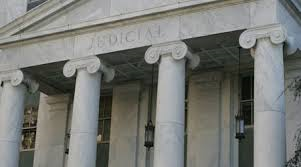 Is “deference” to the lower court when an appellate court is reviewing a criminal trial for error more absolute than the “deference” given to a trial court when an appellate court is reviewing a civil case, i.e., when mere money is at stake and not someone’s liberty? Sometime we see the word “due” in front of “deference” which can give “deference” whatever emphasis the appellate court desires, either strong or slight. Prefacing “deference” with “due” seems to indicate the appellate court has given the trial court’s decision all the “deference” it deserves, whatever that may be. Sometimes, an appellate court will even show “extraordinary deference” to a trial court’s decision. (“To the contrary, our prior case law in this area has shown extraordinary deference to trial courts that have chosen to dismiss a civil action as a result of a party’s failure to appear at a proceeding, calendar call, or the like.”). Atlanta Bus. Video, L.L.C. v. FanTrace, L.L.C., A13A1287, 2013 WL 5943451 (Ga. Ct. App. Nov. 7, 2013). Unfortunately, there are also times where particular appellate judges would rather simply substitute their own independent decision on how they think a case should have turned out rather than truly reviewing the trial court’s decision and giving even “due” deference to that decision. See, e.g., KROGER COMPANY v. SCHOENHOFF, No. A13A1247 (Ga. Ct. 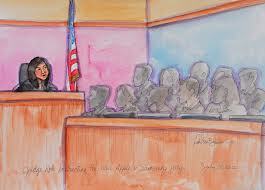 App., J. Andrews, dissenting, Nov. 12, 2013.). In that situation, a trial lawyer can only prayer such an opinion falls in the dissent. Although the Administrative Office of the Courts (AOC) maintains records for the number of cases filed in all courts in Georgia for each year, there is no central depository of case results on appeal, meaning there is nowhere we can go to see how many cases in which the deferential standard of review applied resulted in a reversal of the trial court. Might make for interesting reading and comparison.